Straight shafts, jaws with fine teeth. Flat handle. 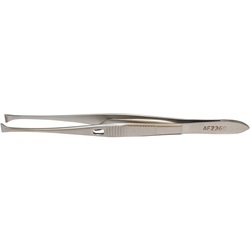 Overall length: 111mm. 4.5mm wide jaws, fine teeth with lock.